Dashboard is a collection of small programs, called “widgets,” that let you quickly do a wide variety of tasks such as checking stock prices, finding weather information, and more. Note: You can also use widgets in Today view in Notification Center. For more information, see See your day at a glance. Choose Apple menu > System Preferences, then click Mission Control. Click the Dashboard pop-up menu, then choose As Space or As Overlay. As Space: Dashboard appears in a separate space. 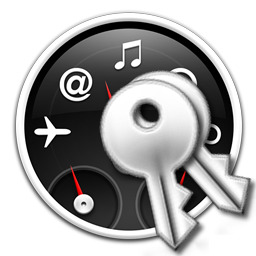 In addition to pressing the Dashboard key or F12, you can get to Dashboard by moving between spaces. As Overlay: Dashboard appears over your desktop. From a trackpad: If Dashboard is set as a space, swipe right with three fingers. To close Dashboard, swipe left. From a mouse: Set a shortcut in Mission Control preferences. Choose Apple menu > System Preferences, then click Mission Control. Click the second Show Dashboard menu, then choose a shortcut. From a keyboard: Press the Dashboard key, or press F12 (Fn-F12 on portable keyboards). To close Dashboard, press the key again. If you want, you can change the keyboard shortcut in Mission Control preferences. Click the first Show Dashboard menu at the bottom of the preference pane, then choose a shortcut. See a widget in Dashboard: Open Dashboard, click the Add button in the lower-left corner of the screen, then click the widget. To organize widgets, drag them where you want them. Stop seeing a widget in Dashboard: Open Dashboard, click the Remove button in the lower-left corner of the screen, then click the close button of the widget you want to stop seeing in Dashboard. If you don’t see a close button, press the Option key, then move the pointer over the widget. The widget isn’t deleted from your Mac, it’s just put away. Some widgets have Info (i) buttons that you can click to reveal custom settings. For example, in a Stickies note, you can change the font style or color of the note. 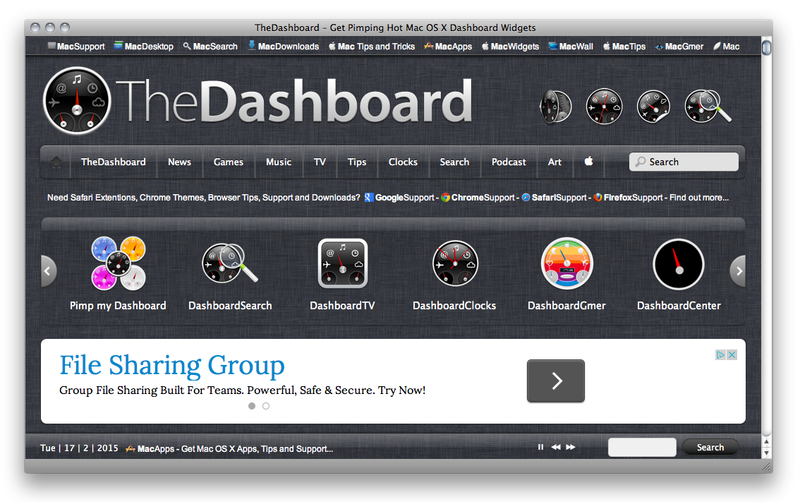 Open Dashboard, then move the pointer over each widget. Click the Info (i) button to see the widget settings. If the widget you need isn’t already on your Mac, you can install it. You must be connected to the Internet to install additional widgets. Important: As with any software you install on your Mac, make sure you install widgets only from trusted sources. Open Dashboard, then click the Add button in the lower-left corner of the screen. Click More Widgets to go to the Dashboard Widgets website. Browse the widget website. When you find a widget you want to install, select it, then click Download. When the Widget Installer opens, click Install. If you see a message about opening an app from an unidentified developer, see Open an app from an unidentified developer. Click Downloads in the Finder sidebar to locate the widget. If the Installer doesn’t open automatically, go to the downloaded file and open it. If the file’s name includes the .zip extension, double-click it to unzip it, then open it. For an easy way to create your own widgets, see Create a Web Clip widget. You can only remove widgets you installed. Open Dashboard, then click the Add button in the lower-left corner of the screen. Click the Remove button to make the widgets jiggle. Click the Remove button of the widget you want to remove, then click Delete. Click the first Show Dashboard pop-up menu at the bottom of the preference pane, then select a keyboard shortcut. Click the second Show Dashboard pop-up menu, then select a mouse shortcut. Click Hot Corners, click a pop-up menu, then choose Dashboard. When you move your pointer to that screen corner, Dashboard opens.